The Page 69 Test: "American Pop"
Snowden Wright is the author of the novels Play Pretty Blues and the newly released American Pop. He has written for The Atlantic, Salon, Esquire, and the New York Daily News, among other publications. A former Stone Court Writer-in-Residence, he lives in Atlanta, Georgia. …for his infant child. Tewksbury couldn’t have known that the one color of his new country’s flag that was missing from that placard would one day be used for the label of a soft drink that would make his son a millionaire. Because page 69 happens to be the end of a chapter, those two paragraphs represent the entirety of the page. They also could be said to represent the entirety of the novel. 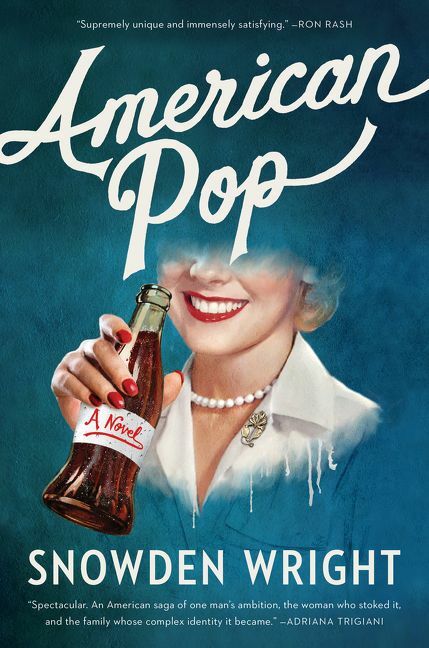 American Pop is the story of the Forster family, owners of the world’s first major soft-drink company, Panola Cola. The paterfamilias of the family, Houghton Forster, has just been born. In the first paragraph, I used a flash-forward—though, because it’s not a scene, like its opposite, a flashback, perhaps “foreground information” is a better term—to the day Houghton would be made wealthy by his soda business. Tewksbury, Houghton’s father and an immigrant, notices a placard on which “Space for Rent” is written in alternating red and blue letters. In further foreground information, I note that the label for Panola Cola will be white, the one color of the American flag missing from the placard. Thus page 69 represents a microcosm of the American dream. An immigrant new to the country has the first inkling of a business that will one day make his son incredibly wealthy. Throughout the rest of the novel, though, I tried to interrogate the idea of an American dream, exploring how it is often merely a story this country tells about itself. 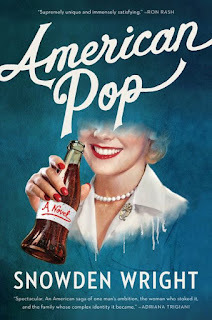 American Pop is a story about that story.